Once in a blue moon, such a remarkable performer appears that it is taken for granted that his, or her, feats will live forever. Sometimes this is the case. Sometimes it is not. Consider the case of Edwin Graber who starred in basketball at Sterling High School. He shattered all existing scoring records but, more than that, he was a superlative passer, and a contributor of that indefinable something that makes good teams great. Eddie was much like and earlier, and smaller, version of Jerry Lucas. Both appeared to be doing very little on the floor, yet when the final tally was made, they had easily dominated the entire game. 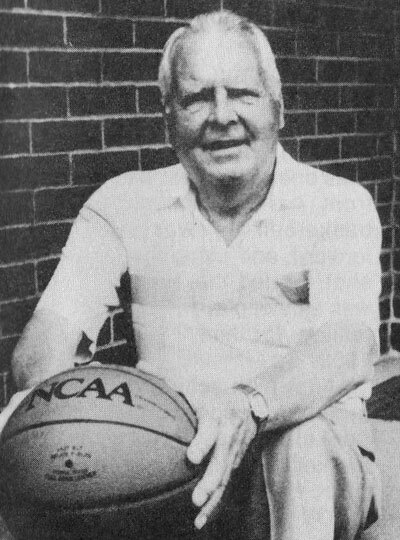 I recall Wilbur Berkey, veteran Smithville coach, stating that if he had had Graber to go with some of his great Smithie teams, he could very easily have won a state championship or two. Just for the record, he was an All-County First team choice for three straight years. Selected by the League’s coaches, he was a unanimous choice his last two years, the first time that feat had ever been accomplished. He led the League in scoring two season, and was the first Wayne County player to top the 1,000 mark in scoring remember, this was during the center-jump days, when the winner rarely scored as many as 40 points. The Eagles, coached by Ron Sinclair, were usually 1-2 in league competition, and advanced to the district level during Ed’s senior year. He worked his way through Kent State, which left no time for basketball. He did not get all the way through when some family problems made it necessary to return home. He married his high school sweetheart, Ruth Adams, and they are the parents of our children. Aside from a year’s service with Uncle Sam, Graber spent his entire career with the Packaging Corporation, as well as helping out with various community projects. Eddie always maintained that his rapid improvement came from scrimmaging against Paul Maibach, somewhat older, who had been All-Ohio Conference at Otterbein. Paul, also a WCSHOF member, had an apt pupil.